Wittenborg employs people from all backgrounds, including academic lecturers, language teachers, office employees, facility workers, managers, directors, CEOs and politicians. There is a great diversity in nationality of our staff members; we have personnel from the United Kingdom, Switzerland, Austria, Ireland, Romania, China, Nigeria, Pakistan, Turkey, Kenya, Nepal, USA and the Netherlands. For this reason you can understand that speaking English is an absolute must for every one working at Wittenborg! Wittenborg University is always interested in people from business and industry who would like to come and teach or train its business students. 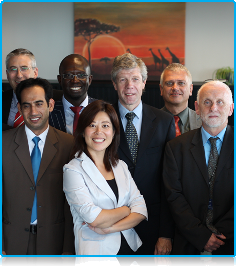 Do you wish to work in an international business environment? Are you well-educated and in the possession of excellent communication skills? Are you a team player, though capable of taking initiatives on your own? Do you have good computer skills? Then you might be what we are looking for at Wittenborg! At Wittenborg University lecturers are employed on the basis of the subjects they teach, and the institute aims to provide a fixed number of teaching hours throughout the year, in all blocks to allow for continuity. All staff are preferably directly employed by the University, however some lecturing staff who have positions in industry and the professional field are self employed (in the Netherlands known as Self Employed without Staff -ZZP). At Wittenborg student feedback is essential in the selection process and lecturers are evaluated each block. All new lecturers are requested to carry out some demo-lessons as part of the preliminary stages before their full modules start. Wittenborg University is looking for professionals who are able to teach Business Subjects to our International and Dutch students. Most of the Business subjects are taught by lecturers who are very enthusiastic to share the knowledge and experience that they continually gain in their every-day job with our students. Wittenborg University employs lecturers in the following subject areas: Accounting and Finance, European Law, International Law in Business and Commerce, Marketing, Hospitality, Tourism and Event Management, Logistics, Supply Chain, Sales and Export, Business Management, Research Methodology, Human Resource Management, Entrepreneurship etc. Wittenborg lecturers should hold at least a Masters degree, preferably a PHd. They should also have at least 4 years of non-education industry experience, with references and excellent English language speaking, reading and writing skills. They should hold an EU passport or a permit that allows them to work in the Netherlands. Wittenborg University is regulary looking for lecturers in (second) foreign languages; English, French, German who can join the education team on a part time basis. 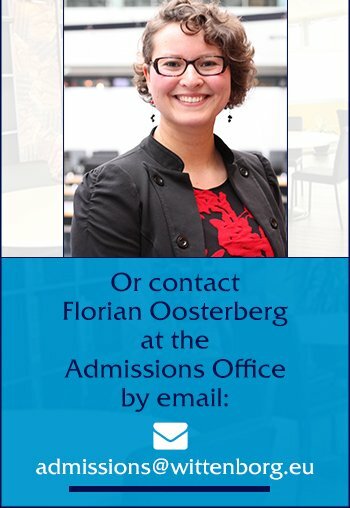 Wittenborg University is regularly looking for staff for one of the support offices; such as the Front Desk, Back Office, Marketing Department, Facility Department, Finance Department etcetera. For most positions candidates should hold a Bachelor’s degree, have at least three years of relevant work experience and have excellent English and Dutch communication skills. Use this form to send an information request regarding employment opportunities.